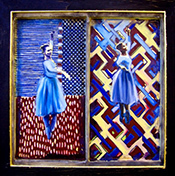 "My work is drawn from imagery derived from my life experiences. In south Louisiana I’ve been exposed to a unique combination of influences which yields painting that is every bit as rich as my heritage. My paintings usually start with a color composition, and then evolve into scenes in which color is the primary subject. "Combining old and new is also an important aspect in my work, presenting images as a footprint of history. The bold shades of blues, reds, greens, and yellows I use to paint scenes of crab boils, second lines, Mardi Gras Indians, church goers, and other southern Louisiana pastimes are reminiscent of African influence. To me, art is a combination of my personal feelings, the subjects and colors that inspire me and my materials and techniques. "Through my work, I strive to invoke reflection on culture and emphasis on color. I believe this combination generates truth and healing, which is my primary goal." Rosalyn Spencer: How long have you been pursuing a career in the art field? How did New Orleans help shape and influence your work? Jerome Ford: I've been working professionally as an artist for the past 15 years. But I've been practicing all my life. My dad is an artist, a sculptor, and he was my first influence. Art is a big part of New Orleans culture and to grow up in an environment that's so art rich was very impactful. My parents and family exposed me, my brother and sisters to just about everything positive the city had to offer. We were not sheltered in the least and I know that exposure has made me the outgoing artist I am today. RS: How would you describe your aesthetic for art? How do you use the themes of memory, spirituality and personal experience in your work? JF: I usually work in series. If I come up with a theme I'll probably paint on the subject until I get bored with it. Memories play a part sometimes if I'm feeling nostalgic but usually my paintings have subjects and themes that are current in my life. I've been told that my work has a spiritual sense about it but it's not always something I knowingly set out to do. I have painted religious themed series in the past. I did 17 paintings a few years ago that included text from the book of Proverbs. RS: What defining moments helped shaped your outlook on your aesthetic for art? JF: I don't think a true artist can help what is aesthetically "correct" to them. We are all shaped by our environment. For me it was my teachers. My work is definitely influenced by my teachers from Jr. High, High School and college. I remember lessons from Patricia Kaschalk, my first art teacher, on composition that still hold true today. My biggest influence was my high school art teacher Richard Thomas, who I credit with introducing a mastery level understanding of color composition. He also taught me about the business side of the art world and how it was possible to have a good quality of life as a professional artist. My most memorable professors at LSU were John Malvetto who taught me to trust my own understanding in art, and Denyce Celentano who taught painting in the impressionist style. I think of her when I paint figures. RS: What do you believe are some milestones and moments that helped change the art scene due to the contributions of artists of color? Are there moments that you feel have been overlooked? JF: The first artist that comes to mind is Basquiat whose painting had a record sale last year at $318 million. But personally I have photographer friends in New Orleans who taught me how to shoot and develop film back when everybody was still shooting black and white. They have been big contributors to the art scene for years and have gained major notoriety recently. Keith Calhoun and Chandra Mccormick are from my old neighborhood in the Lower 9th Ward, New Orleans. They have participated in the New Orleans Biennial since it's conception in 2008 and they recently participated in 56th la Biennale di Venezia in Venice Italy. They've both been featured in the New York Times and this past February, Time Magazine named Chandra as one of the "Top 12 African American Photographers You Should Follow". To see artist of color that I know personally gain national notoriety is a huge inspiration. RS: Where can we see some of your work? Do you have any future plans for any new shows? JF: My studio address is 117 S. Main St. in downtown Opelousas, Louisiana. My website is overdue for an update but you can view early work there at www.colorsofculture.net or follow me on Instagram @Colors_Of_Culture. I've had a couple of shows this year and am in the works of showing a few more times this fall. I'll post updates on Instagram. Born in New Orleans, Louisiana, Jerome Paul Ford established his reputation as a figure and genre painter, particularly of South Louisiana subject matter. He was reared in the lower ninth ward of New Orleans. The second of four children, Ford learned at an early age that creativity was the source of his childhood excitement. His mother, a teacher, taught him and his siblings to dream big and apply themselves in all their endeavors. His father, a carpenter and amateur sculptor, was his first inspiration. In high school, Ford was introduced to visual artist and teacher Richard C. Thomas. Under Thomas’ supervision, Ford began to lay the foundation of art discipline that helped develop the unique artist he is today. Ford received his BFA in painting and drawing, with a minor in print making, from Louisiana State University at Baton Rouge in 2003. His work has been accepted to hang in many local and national juried exhibitions of which he has received many honors and awards. 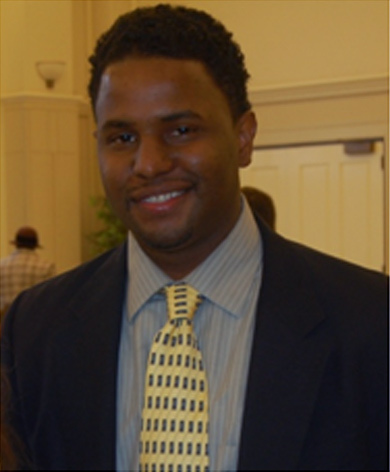 After graduating, he taught in the talented visual arts program with the New Orleans Public School System. 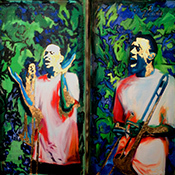 In 2006 Ford moved to his wife’s home town in Opelousas, Louisiana where he continues to teach and create works of art. Ford’s works suggest inspiration, intuition, and visual reference - accompanied with the culture and heritage of South Louisiana.